More pressure is mounting on TSC over promotion of teachers with higher qualifications. Evidently, efforts of teachers’ unions to push for promotion of teachers has so far bore no fruits. Now more than ever teachers are likely to see light at the end of the tunnel. This is after the Commission on Administrative Justice (Office of the Ombudsman) has thrown its weight behind the push for teacher promotion. The Commission on Administrative Justice is a constitutional entity mandated to investigate any conduct in state affairs or any act or omission in public administration in any sphere of government and complaints of abuse of power, unfair treatment, manifest injustice or unlawful oppressive, unfair or unresponsive official conduct. Office of Ombudsman has given the Teachers Service Commission, TSC, a 21 days’ notice to promote teachers who due for promotion. 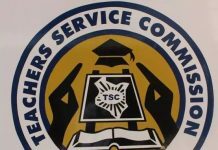 Through a Memo sent to the TSC Chairperson, the Office of the Ombudsman says it has received anonymous complaints against the TSC’s failure to promote teachers who deservedly need to be promoted. “The complainants now seek to have the issues addressed with a view to promote all teachers who are eligible for promotion”, reads part of the Memo signed by Ms. Viola Ochola on behalf of the Chairperson to the Ombudsman Commission. The TSC had on Thursday, this week, called off a meeting between the TSC and KNUT that was slated to highlight matters arising during implementation 2017-2021 CBA; one of them being promotion of teachers. TSC cunningly postponed the meeting baselessly a move that angered KNUT. While responding to the teacher employer, SG Wilson Sossion faulted the sudden move. He further compelled TSC to convene a meeting within seven days failure to which a serious action will be taken.